I love this dish. It is a perfect blend of flavours. 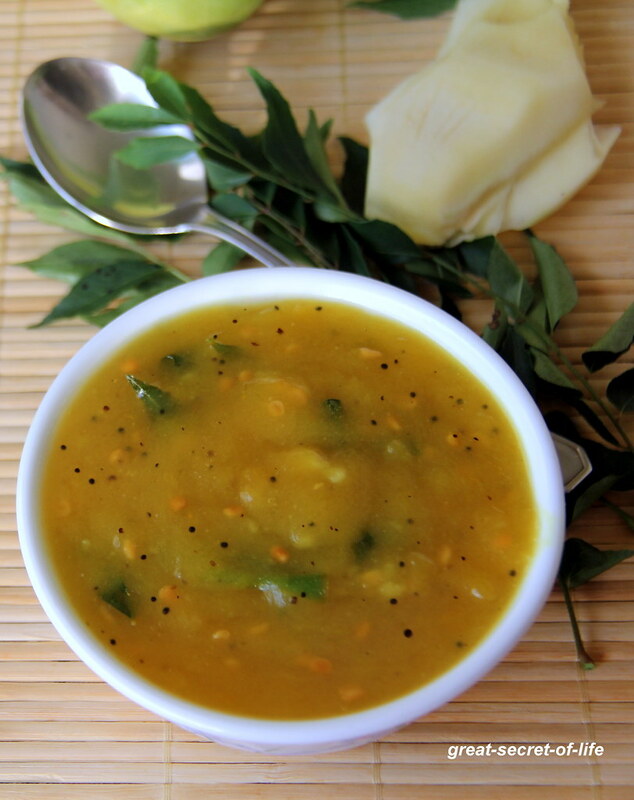 It is one of the must do dishes for Tamil new year or any new year. But after moving to Singapore we get mango almost every day. So I make it very often. I love it on my bread toast too. My husband likes it with curd rice also. 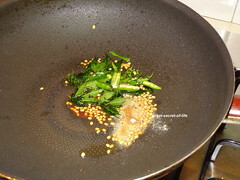 If I make it for New year I will add Neem flower while tempering. It will give all 5 tastes sweet, sour, bitter, saline (thuvarpu) and salt in one recipe. Happy new year to all my readers! 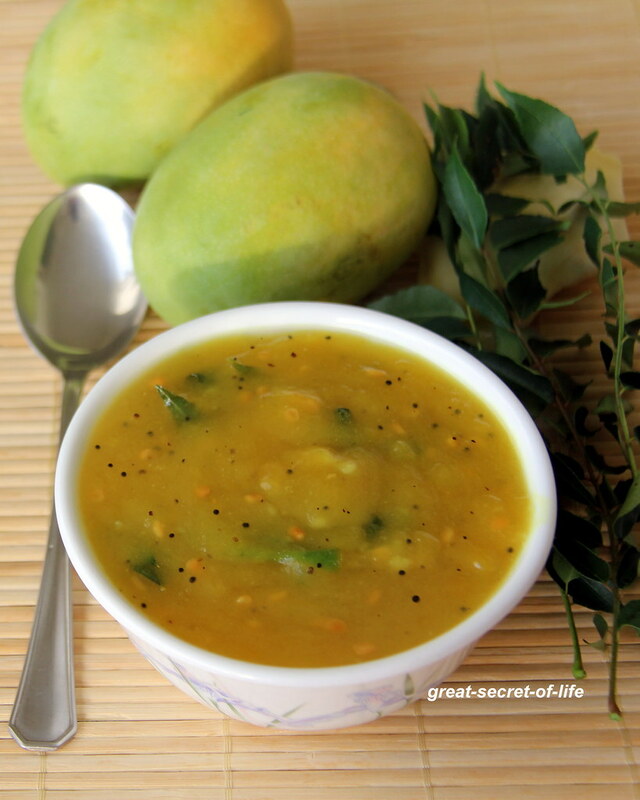 Cook the mango with salt and turmeric powder in pressure cooker or in a vessel with lid closed. It has to be cooked well so that you can mash it. 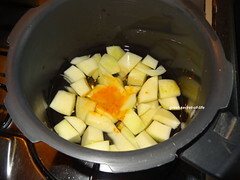 I have used pressure cooker and cooked till 3 whistle. Open the lid add tempered items. 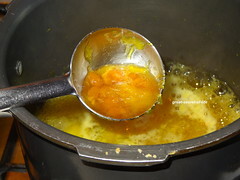 Add jaggery to it and boil till jaggery is fully dissolved. 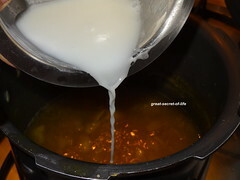 Add dissolved rice flour. 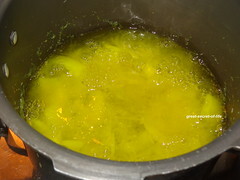 Cook till desired consistency is achieved. Yum. Thanks for the recipe. I will surely this pachadi. Just a question. Can I not add the flour? Gonna make for this week's veg meal. Thanks for the wonderful tip veena.We do manga pachadi too, but i never added neem flower in it.Will try adding neem flower.Happy new year to u n ur family. A very nice and authentic pachidi!! 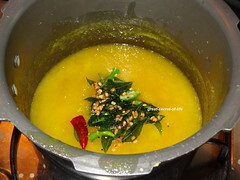 You have a nice blog space ...do visit mine @ http://sujasculinarycorner.blogspot.in...Happy tamil new year!!! 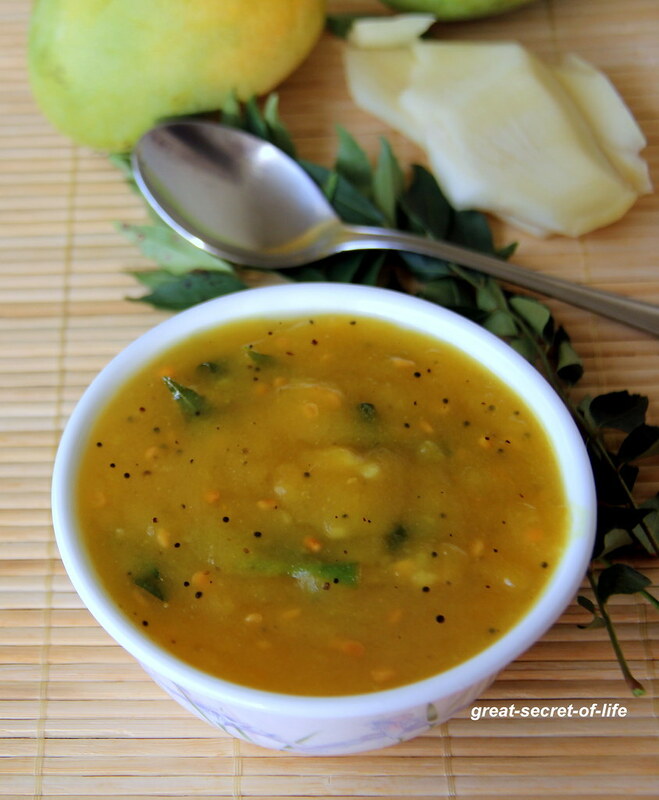 Very authentic recipe..Happy new year Veena !! 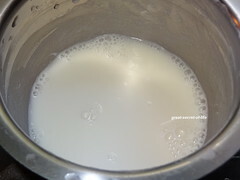 very delicious and tempting pachadi. My favorite!! This looks absolutely lip-smacking! !